Belief is the uncritical acceptance that something is true — evidence is not an issue. And that is why belief can be dangerous. If someone can inspire belief without having to supply evidence, that person gains total control. There are few things more comforting than knowing that something is absolutely true, with no room for doubt. This is why belief is like an addictive drug — it suspends reason as drugs do. And, just as with drugs, people exposed to the feeling of uncritical belief find they need more of that feeling over time. The first danger with belief lies with the source of beliefs. If a leader can lie and be believed, that person's followers are in great danger. True believers generally do not suddenly wake up and say, Wait a minute! This makes no sense! That is because this kind of reasoning ability doesn't spring up all at once — it takes years of training. And True Believers don't spend those years learning how to think. 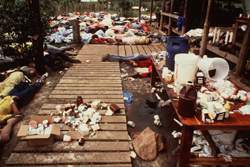 This is why Jim Jones was able to tell 914 of his followers to drink poison, lie down and die (British Guiana, 1978). 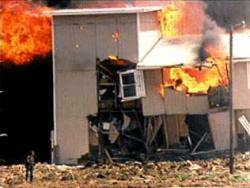 This is why David Koresh was able to persuade 75 of his followers to stay inside a burning building and die (Waco, Texas, 1993). 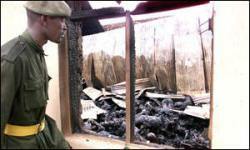 This is why about 500 members of the Ugandan Movement for the Restoration of the 10 Commandments could agree to a mass suicide and be led into their church, which was then set on fire, killing them all (Uganda, 2000). This is why a relatively small group of Islamic terrorists could kill themselves and thousands of others in New York City and Washington, D.C., raising religion's natural death toll to a new, horrible level. People who have religious beliefs may think this is a bleak view of religion and belief — after all, not everyone who is religious commits suicide or murder, or even thinks about such things. But please think — if you boarded a ship for a cruise, wouldn't you like to know the cruise line's safety record over time? How many of the company's ships get to their destination safely, and how many sink on the way? In fairness, the same questions could be asked about religion — what are the available destinations, and how safe is the ride? Are there other ways to get to the same destination? But no. Although these questions are always asked about ships, they are never asked about religions. For those of you who have possessed religious beliefs all your life, please read this article very carefully. It is not meant to doubt your faith or your commitment. It is meant only to encourage you to think. Religion relies on human spirituality — an individual experience — as its energy source. Without human spirituality, religion would have no appeal. It is fair to say that religion is the marketing of spirituality. Just like any business, religion packages its product (spirituality), delivers it and receives compensation. But, as with the rest of retail marketing, it is not enough to have a product and customers. You must make your product unique, set it apart, then encourage consumers to switch from another product to yours. Explain that ordinary experience is not valid, that standing in a field looking at stars is simply ignorant. Invent a prophet, so there is no excuse left for people to interact with nature directly any more. In other words, instead of acknowledging that spiritual truths are everywhere, claim that there is only one true path to enlightenment/salvation/whatever, and your church has it for sale. Instead of allowing your followers to comparison-shop, tell them it is their duty to convert other people to the One True Faith. Tell them the most effective way to do this is to always talk but never listen. This is why religions have been the source of so much suffering in human history — religion isolates people while explaining this is a good thing. Non-believers should not be respected, they should be converted (or killed). As a result, the very best thing that can happen to you in a church is — nothing. The worst? You might be invited to partake of a cyanide-laced sacrament. Even worse, you might do it willingly. Religion is openly hostile to facts and ideas, the two experience levels above belief. This is because the application of even a few trivial facts undermines religion, and the application of ideas makes religion look downright ridiculous. Therefore, like greedy international corporations, religions have always tried to silence thinkers (their natural competition) throughout history. This and other writings of Bruno came to the attention of the Church, which realized this way of looking at the universe made the Church seem unimportant (in those days, religious dogma had it that Earth was the only center of the universe, Rome was the center of the earth, and the Church as the center of Rome). So, after unsuccessfully ordering Bruno to recant his ideas, they took him outside and burned him at the stake. Well, okay, this shows one difference between old-style religion and the new kind. In the old days, religious people mostly killed other people, especially members of other religions. Now (apart from some exceptions like murdering health care workers who happen to be in a clinic that advocates or performs abortions), they usually kill themselves. But from time to time in the course of human affairs, we witness a public example of religion's essential nature, of religion unmasked. I am speaking of the terrorist attack that brought down the World Trade Center in New York City. This attack is a perfect example of normal religion brought to a new depth. Instead of clucking their tongues at the infidels, the ordinary pastime of the religious, a group of Islamic fanatics killed themselves plus a large number of the sworn enemy of all True Believers — anyone who doesn't believe exactly what they believe. But why should this sort of activity be so surprising? Most religions explain that life on Earth is much less important than what follows — the afterlife. So religious people naturally feel an impulse to move along — if Planet Earth is really just a bus station in Kansas, and the afterlife is the real thing, well, let's get on with it! Religious followers, being True Believers, usually don't figure out that all the talk about the afterlife is just a way to get them to tolerate things they shouldn't. In the everyday world, if you want a raise, you ask for it. You boss might say, Next week, okay? and you can await the outcome. But if a religious leader says, Your reward is in the hereafter, what exactly are your options? Business owners much prefer to hire religious people (unless any originality or creativity is needed in the job, of course) because they are such sheep. This would be less remarkable except that religious writings are filled with references to sheep and flocks — why don't people get it? So, as a result of this, there are forces in society that most definitely support the religious outlook, forces having nothing to do with spirituality (assuming religion has anything to do with spirituality). Businesses want to exploit their labor force, and religion is a perfect training ground for that exploitation. But this is all less important than the biggest problem with belief, which I have saved for last. Belief keeps people from adapting to change. Belief is a fixed, rigid system, but nature's requirements constantly change. This guarantees the True Believers will be left behind over time. They can burn a few people at the stake for a while, blow up a few health care clinics, murder a few doctors, but pretty quickly the world moves on and leaves them in the dust. Here's an example. At one time, it was accepted as immoral not to have a large family. There was a lot of unoccupied land, and people were dying left and right from diseases. Small families were seen as immoral in both the conventional moral sense (agreement between people) and in the religious moral sense (religious dogma). A lot of children are going to starve to death. There is no option three, no feed all the hungry. That is quite impossible. Every time we double food production capacity, the world's population doubles also. Pretty soon, every new child born will guarantee that another child will die. That is nature's math, not mine. Because of this change since biblical times, in the conventional moral sense (agreement between people), it is now immoral to have a large number of children. Why? Because of human suffering, a cause not even listed among religion's priorities. But in a religious moral sense (religious dogma), it is still moral, even a duty, to have large numbers of children — religion hasn't adjusted to reality. In fact, worldwide and in general, religions will not even allow family planning knowledge or skills to be shared among their followers. Why? Why would religion allow this tragedy to unfold? For our answer, we need only look at the history of religion. Religion always fights change, to the extent of murdering the messengers of change. And, of course, there's always those business owners, supporters of religion, for whom a system that perpetually produces more exploitable workers and customers is a dream beyond imagining. In the largest sense, belief brings evolution to a halt. It stops the music of the human family, the movement that makes us who we are, that allows us to respond to nature's constantly changing requirements. Yes, belief is comforting to individuals, but it trades comfort for the suicide of an entire species. To move beyond belief, we must listen to nature's messages (facts, the next experience level) and then we must become nature's partner by shaping our own experience in coöperation with nature (ideas, the highest level).